Having a rip-roaring open-flame wood fire in your living room is serious business. According to the Consumer Product Safety Commission (CPSC), an estimated 22,300 residential structure fires occurred in homes every yearfrom 2012 to 2014 as a result of a Fireplace, Chimney, or Chimney Connector fire. That's absolutely crazy. The Chimney Safety Institute of America (CSIA) has this information published on its website. Structure Tech began offering level 2 chimney inspections as an add-on service to our home inspections approximately two years ago. We initially partnered up with a chimney inspection and repair company to provide these inspections, but we've since converted this to an 'in-house' service. 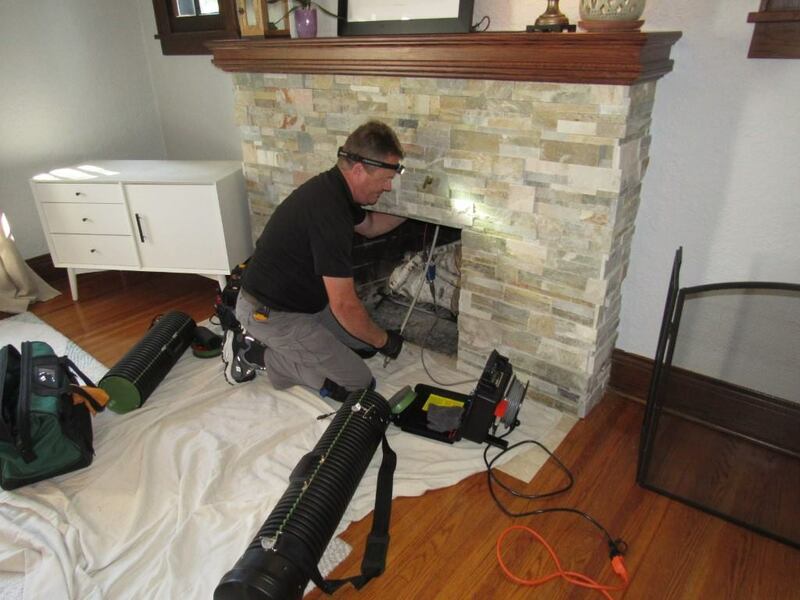 Our very own Patrick Brennan moved from home inspector to full-time chimney inspector after obtaining his Certified Chimney Sweep designation by the Chimney Safety Institute of America (CSIA). Since we began offering chimney inspections, I've become convinced that most wood burning masonry fireplace chimneys have problems. The problems are so widespread and so serious that the National Fire Protection Association (NFPA) recommends a level 2 chimney inspection anytime there is a sale or transfer of a property. NFPA produces a safety standard for Chimneys, Fireplaces, Vents, and Solid Fuel-Burning Appliances, called NFPA 211. This document is available for free online at the NFPA website; see NFPA 211. Section 15.4.1 (3) is where you'll find the recommendation for a level 2 inspection. While NFPA 211 is not "law" or "code", it is generally accepted as the appropriate level of safety and care for construction and inspection of fireplaces. Not only that, but this document is also referenced repeatedly by the International Residential Code, as well as the Minnesota Mechanical and Fuel Gas Codes. For example, if you turn to the Minnesota Fuel Gas Code for directions on how to construct a metal chimney, section 503.5.2 says "Metal chimneys shall be built and installed in accordance with NFPA 211." You'll find many such references in the model codes. In short, NFPA 211 is an authoritative document, and as professional home inspectors, we at Structure Tech follow the advice given there. What's a level 2 inspection? A level 2 chimney inspection is conducted by running a specialized inspection camera through the interior of the fireplace and chimney to inspect for concealed damage to the flue liner, as well as the inspection of the exterior of the chimney. 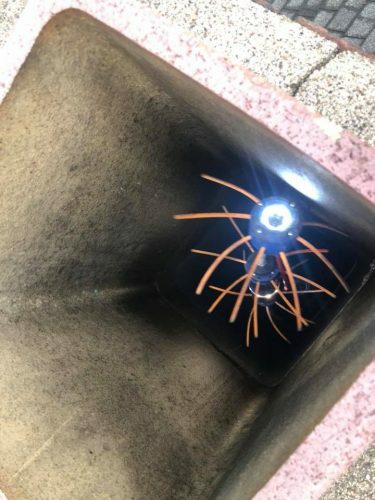 If the flue liner in a chimney has softened, cracked, or otherwise deteriorated so that it no longer has the continued ability to contain the products of combustion (i.e., heat, moisture, creosote, and flue gases), the liner shall be either removed and replaced, repaired, or relined with a listed liner system or other approved material that will resist corrosion, softening, or cracking from flue gases at temperatures appropriate to the class of chimney service. The construction of flues is regulated by the Minnesota State Building Code under section R1003.12, as well as ASTM C 1283. If a chimney flue liner has missing mortar at the joints or cracked tiles, it does not meet this standard of safety, and the chimney is deemed unsafe for use. In my experience, most chimneys are deemed unsafe for use after the chimney inspection. Because the consequences of a structure fire caused by a chimney are so serious, chimney inspections are either Pass or Fail; there's nothing in-between. While a chimney may have been built "to code" at the time that it was constructed, we don't put our blessing on chimneys that don't meet today's standards for safety. There is no "grandfather" clause for safety. Side note: there are plenty of "chimney companies" here in the Twin Cities who are happy to "pass" all sorts of nasty chimneys without even using an inspection camera. They pencil-whip "safe chimney" reports, and people who want these reports keep the business flowing. I've blogged about these chimney hacks before, and frankly, the whole topic disgusts me. But do these small gaps really matter? Yes, these small gaps make a difference. They can allow heat from the flue liner to get transferred to the bricks. Then bricks can then transfer that heat to the wood structure. When that happens, the wood goes through a process called Pyrolysis, wherein the ignition point of the wood drops significantly. This happens over a long period of time, and can eventually lead to a structure fire. Check out the photos below, shared with me by a blog reader. He was having his 1993-built home re-sided and found that the sheathing around the chimney was severely scorched, to the point where it could ignite the next time he had a fire in his fireplace. 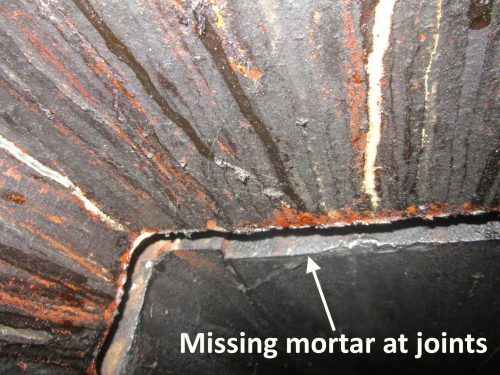 He hired a CSIA Certified Chimney Sweep to inspect the chimney, and the chimney inspector found that the smoke chamber had not been properly parged with mortar. That's all that it took to cause this. 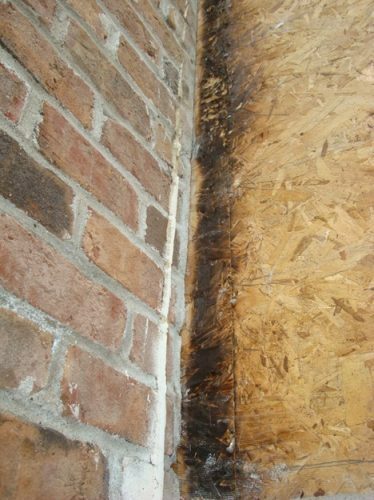 The building code that was in effect at the time required parging, but this was not enforced by the building inspector. There was no visible evidence of any issues before the siding was removed. If a fireplace fails the level 2 inspection, does this mean it has to be repaired? Heck no. It just means you shouldn't use it. Go ahead and put some candles in the firebox and call it good. Heck, you can even light the candles ;-). Some people aren't cool with that, however. They want a functioning fireplace. In those cases, a good option would be to have a gas fireplace insert installed. Instead of removing heat from the home, a gas insert will actually add heat to the home, whereas a wood burning fireplace will remove heat. If someone really wants to keep their wood-burning fireplace functional, the repair will be expensive. This will involve re-lining the chimney, which is a major project. 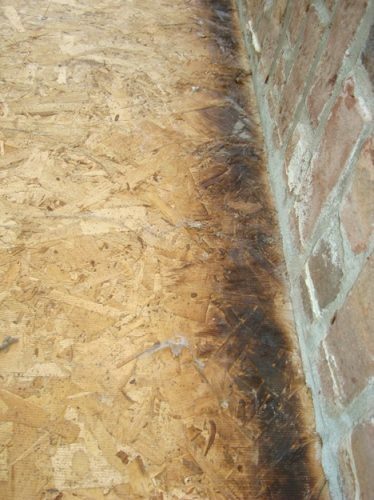 If you buy a home with a wood-burning fireplace, please follow the NFPA's advice and get a level 2 inspection.